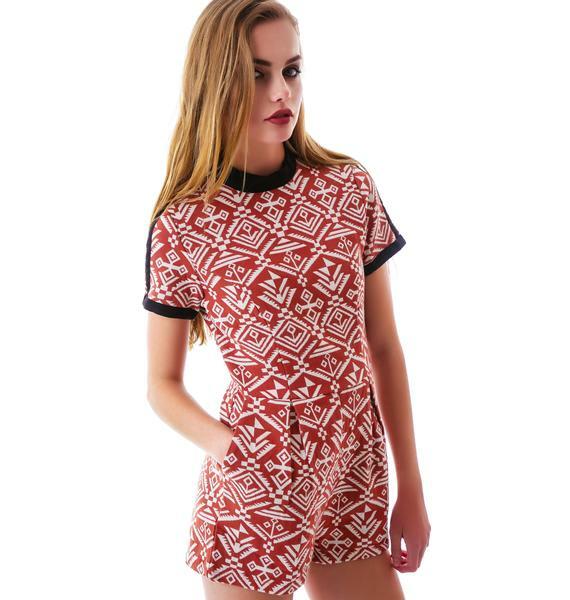 Aztec Open Back Romper, the desert has always been a favorite with you, with less people there is always more than enough room for you to cause a little trouble. 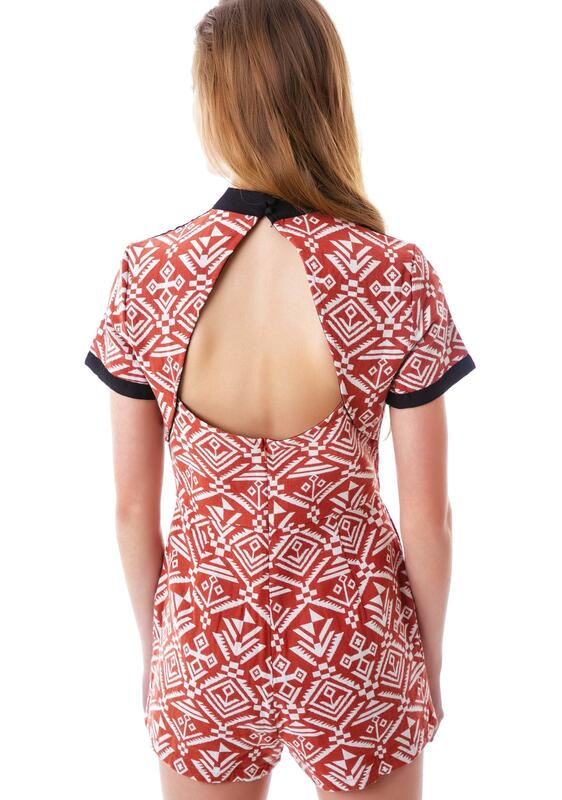 This open back romper is just cool enough to roam around the desert in. 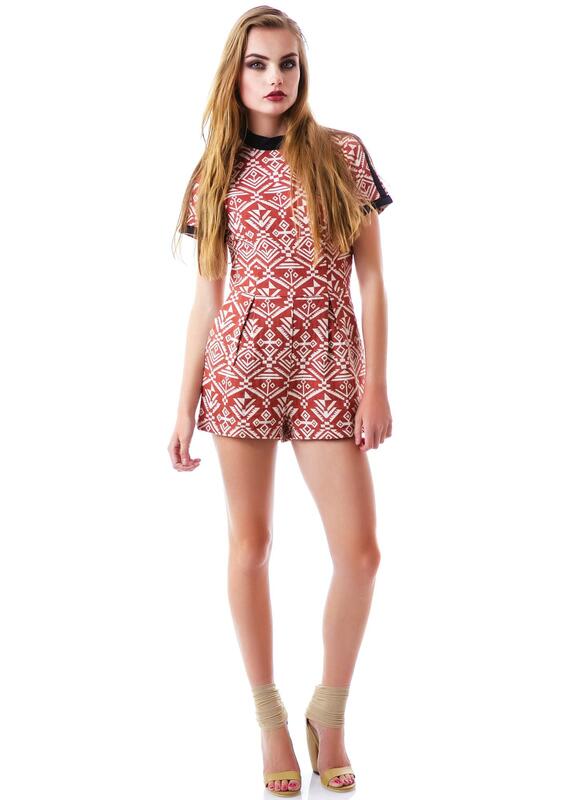 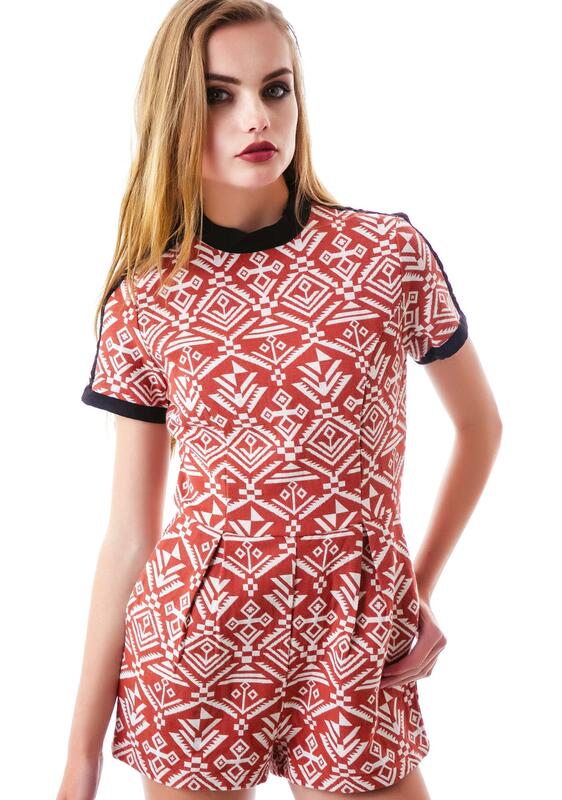 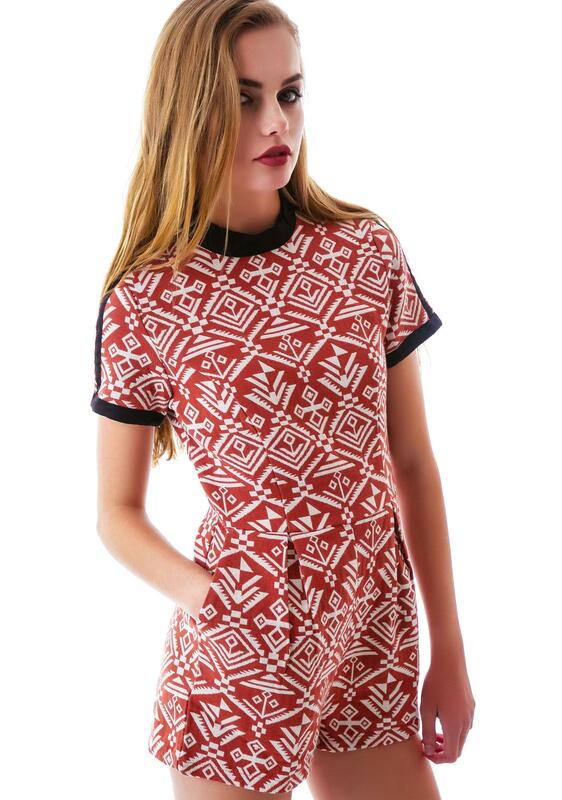 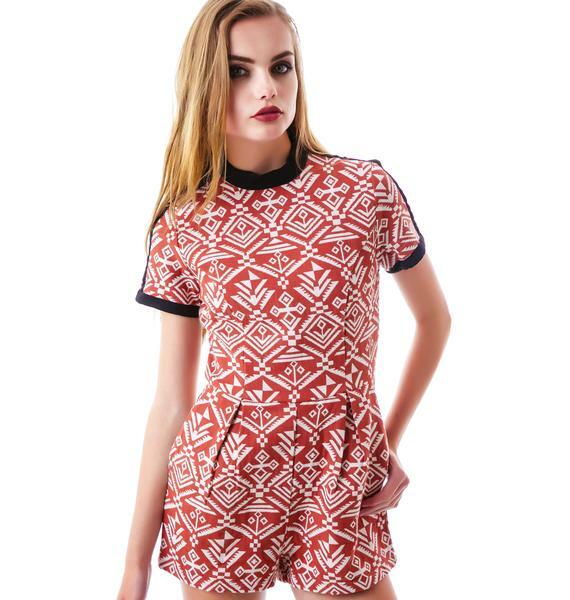 With its A-frame construction and burnt orange aztec print with jet black piping this romper is a call to all things scorching hot.